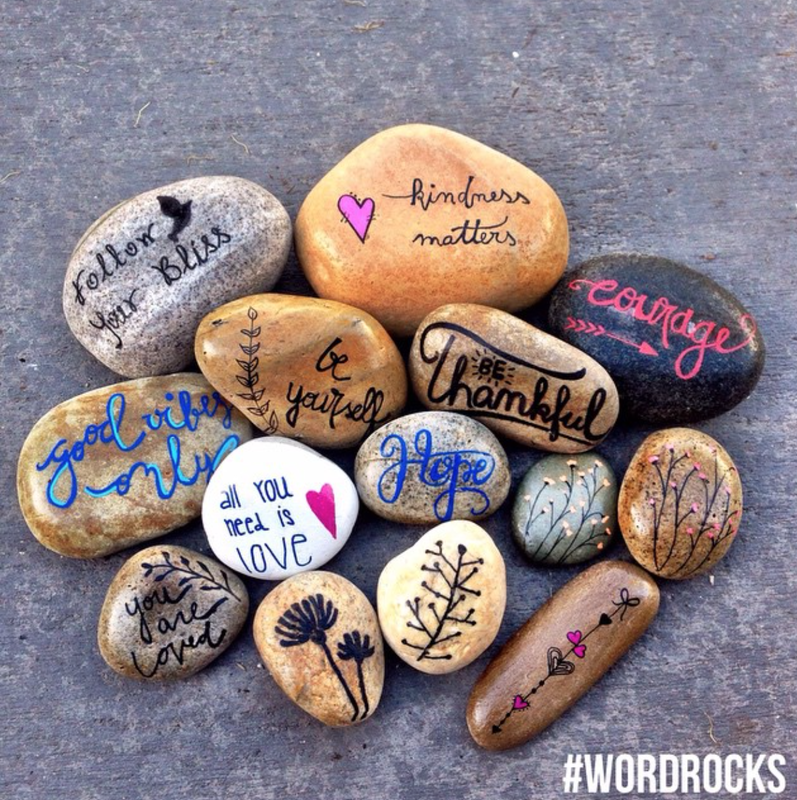 These #wordrocks were made to help collect money to a special kid's cause. Yesterday I had the chance to meet Caleb, a 12-year-old boy with autism who lives here in Encinitas. He is sweet, friendly and is desperate in need of a service dog. Caleb struggles most with sensory processing disorder, acute anxiety, sleep dysfunction, repetitive behaviors and social challenges. Because of these difficulties, Caleb isolates himself from the outside world. He says, "it is too much for me" and" my heart is not strong enough to handle this world". Studies have shown that autism service dogs bring so many benefits, including the improvement of social interaction. The benefits of a service dog are invaluable, but the dog itself is not. Please consider contributing any amount possible to this campaign; remembering when you do so, you are literally changing a child's life. Each dollar will meant a lot!